Larson Electronics, an industrial lighting leader, has announced the release of a 25 watt LED spotlight equipped with a pivoting bar clamp mount ideal for boats and ATVs. The SHBM-LED25WRE-CPR from Larson Electronics is a bar clamp mounted LED spotlight that features a pivoting mounting bracket, allowing operators to adjust the angle of the beam once the unit is mounted. 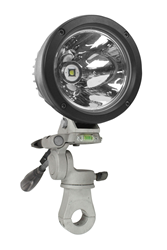 This LED spotlight produces a powerful 2,750 lumen light output while utilizing 25 watts of power. It features a weatherproof nylon housing, a hardened glass lens, and produces a spot beam capable of reaching distances up to 1,000 feet. The light operates on any voltage ranging from 12 to 32 volts DC and is powered by an optional cord terminated in a cigarette plug, ring terminals, or battery clamps. The bar clamp mounting system is constructed of a durable, lightweight aluminum and is attached to pipes, rails, or bars with small machine screws that secure the bottom half of the clamp to the top half. The bar clamp is attached to a pivoting bracket that allows users to adjust the angle and direction of the light once the unit is mounted. The pivot mount incorporates a built-in level to ensure ideal mounting positioning when installing the unit. 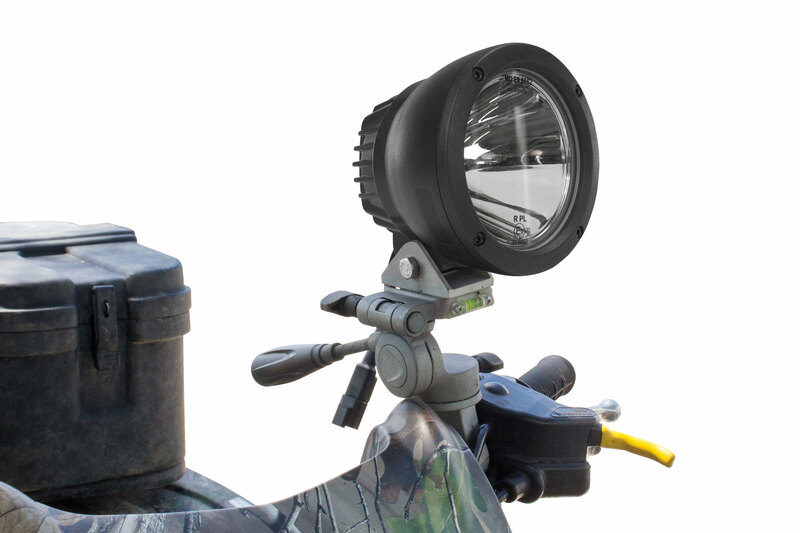 This adjustable LED spotlight is ideal for law enforcement agencies, search and rescue operations, hunting and fishing activities, and for other off-road activities that require a durable, powerful spotlight. Larson Electronics carries an extensive line of LED light towers, portable power distribution systems, explosion proof lights for hazardous locations, portable work lights and industrial grade LED area lights. You can view the company’s entire line of lighting products by visiting them on the web at Larsonelectronics.com. You can also call 1-800-369-6671 to learn more or call 1-214-616-6180 for international inquiries.